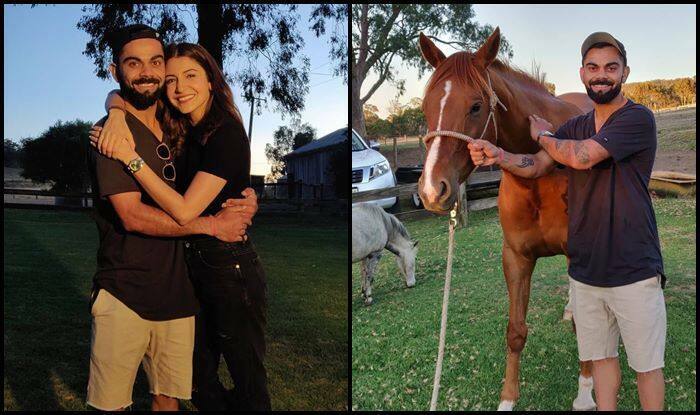 2nd ODI Adelaide: Bollywood actress Anushka Sharma took to Instagram to give fans a glimpse of how she is making the most of her time with husband Virat Kohli at Adelaide ahead of the 2nd ODI. 2nd ODI Adelaide: Bollywood actress Anushka Sharma took to Instagram to give fans a glimpse of how she is making the most of her time with husband Virat Kohli at Adelaide ahead of the 2nd ODI. Seems like the couple had a day out with the horses and got themselves clicked with it apart from a picture together. Anushka was looking rough and tough in a black top and jeans, whereas Kohli went casual opting for a black t-shirt along with beige shorts. The couple looked to compliment each other in the look and we are certain fans must be elated to see the most-sought-after couple. Anushka took to Instagram to give her fans a glimpse. The post was captioned as, “Days like these ❤️殺”. Meanwhile, India will look to bounce back at Adelaide after losing to Australia by 34 runs at SCG.